The dynamics of stabilometric indicators of players and non-athletes is considered. It is shown that in the Romberg sample with eyes open and closed disparities in maintaining the balance between players and non-athletes are practically not detected. The most significant shifts of the stabilometric performance we observed in the vestibular stimulation in the Romberg sample with eyes open, which is significantly less than that of the players. 1. Asseman F.B., Caron О., Cremieux J. 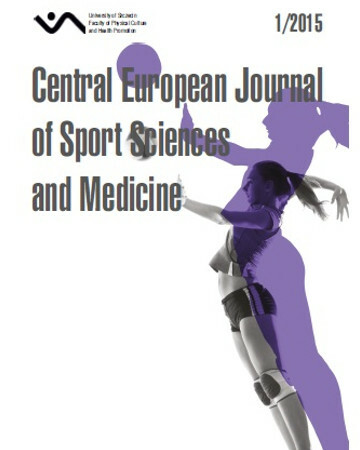 Are there specific conditions for which expertise in gymnastics could have an effect on postural control and performance? J. Gait Posture. 2008; 27: 76–81. 2. Horak F.B. Postural orientation and equilibrium: what do we need to know about neural control of balance to prevent falls. Age and Ageing. 2006; 35: 7–11. 4. Nazarenko A.S., Chinkin A.S. Cardiovascular, impllent and reactions of various specializations athletes on vestibular irritation. Human Physiology. 2011; 6: 726–732. 5. Paillard T., Montoya R., Dupui P. Postural adaptations specific to preferred throwing techniques practiced by competition-level Judaist’s. J. Electromyogr. Kinesiol. 2007; 17: 241–244. 6. Schmit J.M., Regis D.I., Riley M.A. Dynamic patterns of postural sway in the ballet dancers and track athletes. Exper. Brain. Res. 2005; 163: 370. 7. Skvortsov D.V. Stabilometric research: a brief guide. 2010: 16–22. 8. Vuillerme N., Nougier V. Attentional demand for regulating postural sway: the effect of expertise in gymnastics. Brain. Res. Bull. 2004; 15: 161.